Saudi Customs has announced that it has completed a pilot program hat involved integration of FASAH with TradeLens, a blockchain-based global shipping solution jointly developed by Maersk and IBM. Officially announced in August 2018, TradeLens has been designed to enhance the efficiency and security of global trade. It aims to digitize the shipping industry and facilitate secure and seamless sharing of information and trade documents among various stakeholders. FASAH is Saudi Arabia’s national platform that connects all the stakeholders, both public and private, involved in cross-border trade. Its integration with TradeLens is aimed to ensure immutability, traceability, reduced reconciliation, auditability, and compliance for selected services. “Through its adoption of blockchain-enabled TradeLens, Saudi Customs is helping transform the shipping industry in the region and enabling faster, transparent and more efficient real-time operations,” said Tarek Zarg El Aioun, Country General Manager, IBM Saudi Arabia. 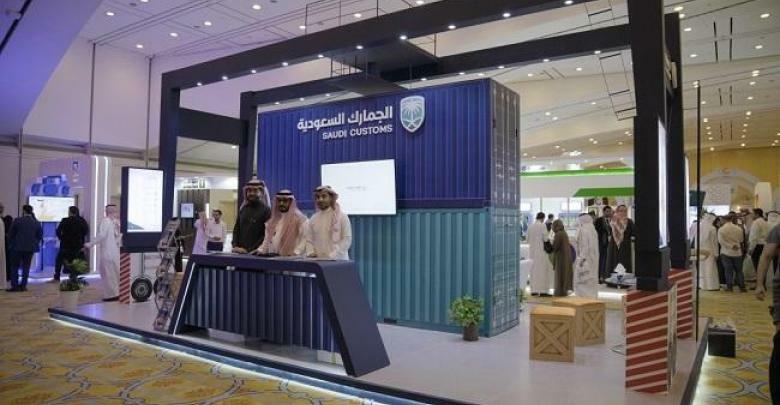 In its official release, Saudi Customs said that the launch is part of the ongoing trials and its commitment to achieving the goals set out in Saudi Arabia’s Vision 2030. Saudi Customs further said that it is testing blockchain technology for developing a “real solution for a fragmented peer-to-peer business ecosystem” which will address existing issues such as scalability and data interoperability among others. It said that it is trying to better understand the decentralized nature of this technology and preparing to migrate away from the traditional platform technology. Amazing. Saudi is going further with blockchain technology. Ooh. Saudi also participating in blockchain technology shipping and trade. Global trade does need higher efficiency and better security.